Founded in 2007, DDbill Payment Co., Ltd (Dinpay) is a licensed third-party payment company in China and one of the most widely used payment processors. 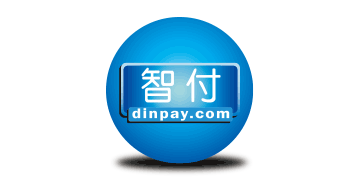 In 2012, Dinpay obtained Payment Business License certified by the People's Bank of China. In 2015, Dinpay was granted the pilot qualification for prcessing cross-border foreign exchange settlements by State Administration of Foreign Exchange (SAFE). Dinpay offers PC payment, mobile payment, app payment, offline payment and payout solutions. Dinpay is PCI DSS compliant, it has cemented the leadership with the highest stardards of security and compliance. "Working with you. Growing with your business." is the corporate culture that unites all of us at Dinpay. We are proud to deliver excellence and superior client satisfaction through a myriad of payment solutions and help you grow your business exponentially.